Following is a consolidation of the books and resources referenced in my blog. The “Circle of Life Quiz” is a personal development tool designed to provide a visual representation of how balanced your life is. It breaks life into three simple pieces for evaluation (work, family, self). I liken it to training for a triathlon – in order to achieve the best overall performance, you must equally balance the time and energy you spend training for each event (swim, bike, run). I want to qualify this list by noting that I have not read all these books (I marked those I have read with an asterisk). The Bible is the ultimate authority on Heaven, and we should never second-guess it in that respect. But these books provide some insightful reading on the wonder of what awaits us in Heaven. A personal favorite is Intra Muros, written by Rebecca Springer in 1898. There are many other very interesting reads. Enjoy! While I am passionate about the need for integration in work and life, I’ll be the first to admit that there is no quick fix to the many challenges we all face today in this area. There are plenty of books, articles, and videos telling us how to solve it. Here’s a “top 15” list I compiled just in case it can help you in setting some goals for improvement. This book was made into a movie in 2017, and I highly recommend both if you have any questions about the historical reliability of the New Testament, and/or claims made by Jesus Christ. Lee Strobel was a self-proclaimed atheist when he began investigating the Biblical claims about Christ after his wife’s conversion. If you want to understand the man behind the Apple I & II, Mac, iMac, iPod, iTunes, iPhone, iPad, Apple stores and a lot more, this book is a page turner for you. And it provides a nice backdrop on the history of Silicon Valley during the internet boom years, which continue to this day. Wilkinson connects the dots between what you are doing today and what you will experience after you die. It is a quick read and guaranteed to get you thinking more about how what you do today really matters. Forever! 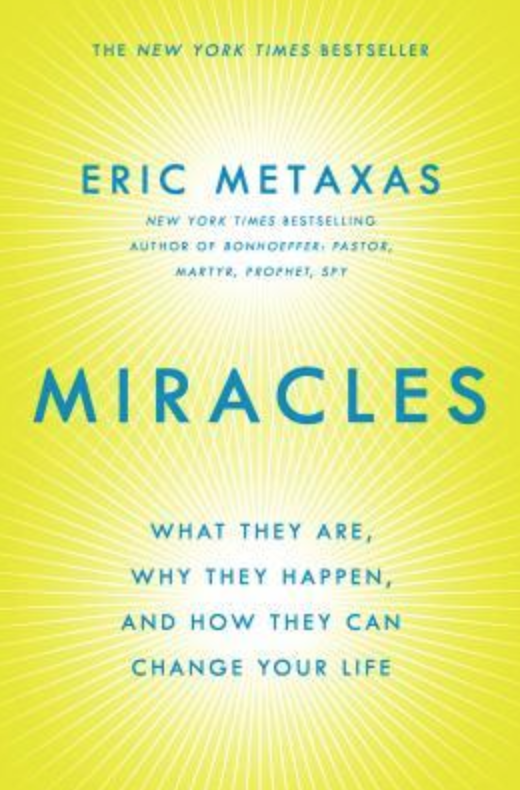 Eric Metaxas is a New York Times #1 bestselling author and is one of my favorite Christian writers. He has written seven books that I recommend: Martin Luther, If You Can Keep It, Bonhoeffer, Miracles, Seven Women, Seven Men, and Amazing Grace. Miracles is a collection of short stories which will definitely catch your attention as well as inspire you to what is possible. If you don’t know about Bethany Hamilton you are in for a treat! 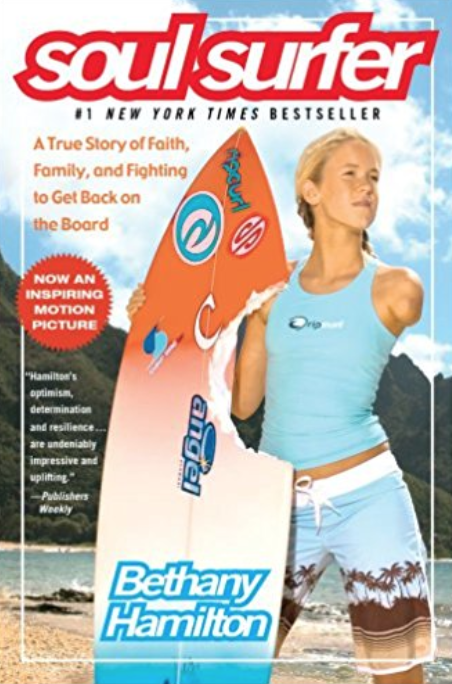 This book is her story, which is about her life as a 13-year old competitive surfer when she lost her arm in a shark attack. It was made into a movie which I also highly recommend (Dennis Quaid and Helen Hunt were excellent as her parents). Her story and faith as she rose back to the top of the world surfing tour is one not to miss. A great read for your young adult kids also, as her bravery and grit were truly inspiring. I happened to run across this book as part of my required reading for the New Ventures West training program, and I loved it! It aligns beautifully with promoting work/life integration. Schwartz offers a plethora of very practical information for those who are too busy working to attend to their core human needs. William Finnegan truly inspired me with this story of his life-long obsession with surfing, after a long career as a staff writer at The New Yorker and well-known author. 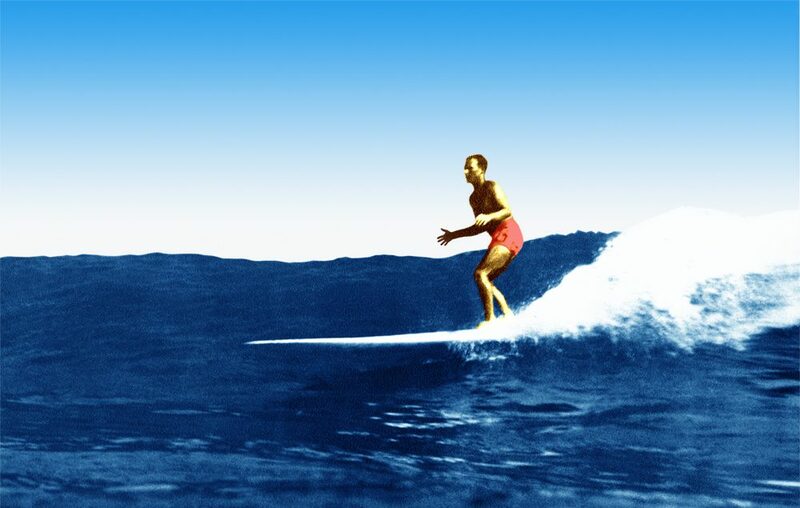 It is a remarkable collection of surf stories from his escapades of traveling around the world from the 1960’s up to present day. Finnegan debunks that myth of surfer’s not being good writers with a detailed analysis of every surf spot he sees (including San Onofre) in a way that makes it interesting to even a non-surfing audience (hence, the Pulitzer Prize!). “Wooden on Leadership: How to Create a Winning Organization” (2005) by John Wooden and Steve Jamison. Wooden’s strategies for competitive greatness translates into a wonderful leadership principles book for business or sports. A Wall Street Journal and L.A. Times bestseller. “Coach Wooden’s Pyramid of Success: Building Blocks for a Better Life” (2005) by John Wooden and Jay Carty. A translation of Wooden’s philosophy with the Pyramid of Success into a self-help handbook based upon each of the blocks of the pyramid. This was his first, and my personal favorite, as it describes his humble upbringing on a small farm in Indiana, and how his relationship with his father impacted him. It also is the only one of his books which covers the UCLA basketball teams in quite a bit of detail, which I appreciated, having watched so many of those games. Amazingly, Richard Bolles has been updating this book since 1975, when it was first written. In spite of the dramatic changes in the job market today, driven largely by the emergence of the Internet and social media tools like Linked-In, his principals pierce time and are life-changing if properly applied. Matthew Kelly is a New York Times bestselling author who has written a book that truly has a calming effect on those who are living a chaotic lifestyle. His suggestions are simple, but make a great deal of sense. Things like “spend less time doing and more time being” and “focus on being the best version of yourself.” This book made a lot of sense to me. For those of us who were lucky enough to be a part of the ROLM story, this book is a must-have. And for those just curious to understand how ROLM set the stage in Silicon Valley as a center of innovation years before Apple, Google, Facebook, and others came along, it is a good lesson in computer history. The San Onofre Surfing Club, 1952 – 2002: 50th Anniversary Commemorative Album is a treasure trove of pictures and stories and various tidbits of what it was like to be a part of the 50-year history of SOSC. And amazingly, it is now available on Amazon. This book is a slice of surfing history that you have to see to believe. I ran across it on the shelf at Powell’s bookstore in Portland, Oregon before it had been published on Amazon. The photographs from the 1930’s and 1940’s are an artistic delight of surfing at that time. Matt is a former professional surfer who later became the editor of Surfer Magazine. This book is the most comprehensive, well-written journal on surfing history I have seen, and includes a remarkable collection of photographs. This picture on the cover pretty much captures it all in one shot. Well done Matt! Charles P. Lloyd is my mom’s twin brother. Uncle Charles was an incredible man who impacted my life in so many wonderful ways. He played the role of a second father to me, and I definitely believe I inherited some of Charles’ genes.